Blake Poultry Farm have been suppling high quality point-of-lay hybrid pullets (chickens) and hens to large and small customers for free-range egg production for over 30 years. Blake Poultry Farm, which is situated at Langore near Launceston in North Cornwall, is a family run business with a reputation for excellent service and after sales care, well able to give personal advice and help in all aspects of poultry care and egg production. 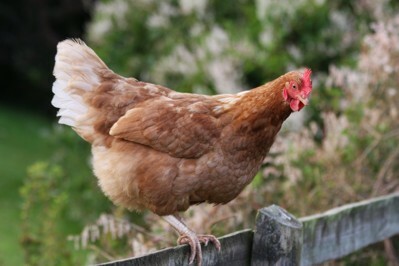 You can buy your pullets at £6.00 each from Blake Poultry Farm with total confidence. Our customers include large farms whose eggs are sold in the supermarkets, smaller businesses that supply their local shop, pub, friends and neighbours with eggs, down to the small poultry keeper who supplies his own family with eggs. Blake Poultry Farm is a family business run by Stephen, his wife Dorothy and son Jeremy. If you require further information or wish to place an order please do not hesitate to contact us at Little Overwood, Langore, Launceston, Cornwall. PL15 8LD or telephone 01566 775366. We also have a facebook page Blake's Poultry. In order that you do not have a wasted journey please contact us before leaving home.